Luke Johnson is a leading figure in private equity and the man behind many instantly-recognizable high street brands. Johnson took control of Pizza Express in 1993 and subsequently became Chairman. He grew the business from 12 owned restaurants to over 250, and the share price from 40p to over 900p. He also started the Strada restaurant concept from scratch and took the chain to 30 units then sold in late 2005. The total proceeds from these two disposals were in excess of £90 million. Luke was Chairman of Channel 4 from January 2004 to January 2010. In that time he appointed a new CEO, restructured the board and saw the organisation enjoy record ratings, revenues and surplus. He is also Chairman and majority owner of online cruise holiday website operator Cruise.co.uk and Neilson Active Holidays. Risk Capital Partners also owns a majority stake in sporting goods company Zoggs. He is owner of the Baker and Spice bakery chain and artisan baker Flour Power City. He holds majority stakes in Feng Sushi, a London-based chain of Japanese restaurants specialising in home delivery, casual-dining chain 3Sixty Restaurants (comprising Ego Restaurants and Rocket Restaurants) and contract catering firm Genuine Dining. He is also Chairman and part owner of pub group The Draft House, Chairman and 50% owner of London bar chain Grand Union. He is also Chairman of Fast Track, the UK’s leading networking events and research firm focusing on Britain’s top-performing private companies. 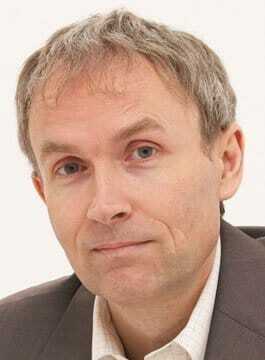 For eight years between 1998 and 2006, Luke Johnson wrote a regular column as ‘The Maverick‘ in The Sunday Telegraph. His short, pithy essays tackled subjects ranging from rich lists to bankrupt companies, from high finance to investment techniques, from philanthropy to trophy wives, bringing a practitioner’s eye to the commercial world and the people in it. ‘The Maverick’ quickly developed a cult following among readers who wanted to understand the blunt truth about investment, entrepreneurs, business history, and corporate life. In May 2007, Luke’s book ‘The Maverick’ was published. This book brings together 84 of the best articles, with updates, in a single volume. Luke now writes a weekly column for The Sunday Times. Luke is one of the best known business speakers in the UK. He genuinely enjoys meeting entrepreneurs and business leaders in person. Luke is one of the few entrepreneurs whose speeches resonate with one-man-band businesses and FT readers alike. As a former Chairman of Channel 4 and the current chair of the Royal Society of Arts, there are few after-dinner speakers to equal Luke’s credibility and breadth of experience. Luke’s speeches are always cultured, entertaining and provocative. He speaks passionately about the contribution of entrepreneurialism to the good of society, and the personal value of optimism, determination and self-reliance. Luke is equally comfortable talking to sector-specific audiences, particularly those relating to his own interests i.e. the media, the restaurant trade and private equity. Julian Cooper - MD, MPC Partners.